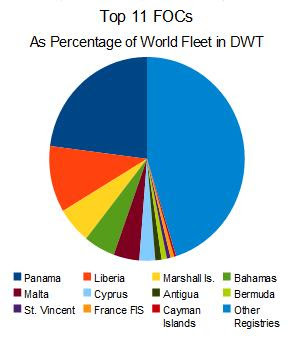 In 2009, these vessels and others were boarded by pirates bent on robbery, not vessel seizure, in West Africa's Gulf of Guinea: MT Front Chief , MV MOL Splendor, (FPSO) Histria Tiger, MV Bourbon Leda, MT Front Chief, MT Emirates Swan, MV Aristeas P, MT Aleyna Mercan, MV Reval, MV Anuket Ivory, MV Sevastopolskaya Bukhta, MV Tennei Maru, MV Duden, MV Pearl River, MT Abram Schulte, MV Saturnas. On average, the Nigerian Navy hears of some 10 to 15 pirate attacks per month. 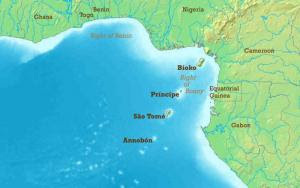 Some experts say that the waters of the Gulf of Guinea are at least as dangerous as those off the Somali coast, if not more so. In the Gulf of Guinea, Maritime Organization for West and Central Africa. Earlier this year provided for the creation of a regional coast guard. 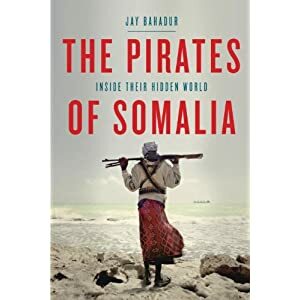 Significantly, it contains provisions for "hot pursuit" of pirates and smugglers even across borders and offshore exclusive economic zones.. .”In the not-too-distant future, piracy off the coast of West Africa could mean higher fuel prices for US consumers. While Nigeria itself represents only 3.1 percent of the world’s proven oil reserves, the Gulf of Guinea, together with Angola and the waters off Congo, are expected to supply up to one-quarter of all the United States’ imported oil by 2015. “Nigeria ranked second in attacks with 40 reported incidents including 27 vessels boarded, five hijackings and 39 crew members kidnapped. Approximately 100 unconfirmed incidents occurred in Nigeria. Although it was learnt that the reported attacks were just the tip of the iceberg as many operators were reluctant to file reports due to commercial pressures or fear of reprisals. “While only 20 attacks were officially reported to IMB in 2009, information received from external sources indicates that at least 50 per cent of attacks on vessels, mostly related to the oil industry, have gone unreported,” said the bureau. • On January 4, gunmen in speedboats seized control of the French-owned fast supply intervention vessel MV Bourbon Leda as it sailed past Nigeria’s Bonny Island crude export terminal en route to Royal Dutch Shell’s Bonga offshore field. The crew of five Nigerians, two Ghanaians, one Cameroonian, and one Indonesian was held hostage for several days before being released in exchange for the payment of an undisclosed sum. • after dusk by ten armed men while at anchor off Lagos. The captain was attacked before the assailants made off with cash and other valuables. • January 17, the Bahamas-registered crude oil tanker MT Front Chief was attacked by marauders in speed boats, armed with automatic weapons and explosives, while the vessel was berthed at the Bonny Island terminal, where it was taking on a load. Fortunately, the grenades thrown by the attackers missed; unfortunately, the captain of the line tug used by the tanker was killed. • January 19, the German cargo ship MV MOL Splendor, was boarded while anchored at Tema, Ghana. The robbers broke into a container and made off with the contents. • On February 14, the Romanian-owned, Liberian-flagged floating storage and offloading unit (FPSO) Histria Tiger was boarded by more than a dozen masked pirates armed with automatic weapons as it lay anchored off Lagos. They took the boatswain hostage and forced him to lead them to the bridge where they opened fire, destroying the ship’s communication system. They then proceeded to rob the vessel and its crew. • February 17, seaborne gunmen attacked Equatorial Guinea’s capital of Malabo, shooting their way as far as the presidential palace, before they were repelled by security forces. • March 11, in the same port, another heavily armed gang boarded the Singapore-flagged chemical tanker MT Emirates Swan. The captain and a seaman were serious injured in the assault. • April 19, while berthed in Lagos, the Liberian-flagged bulk carrier MV Aristeas P was boarded by armed men from two speed boats, who ransacked the ship’s stores. • April 20, the Turkish-owned, Marshall Islands-flagged chemical tanker MT Aleyna Mercan was attacked by armed pirates some 50 nautical miles off the Nigerian coast where the boat was making a delivery to the French oil company Total. After robbing the vessel and its crew, the attackers took the captain and an engineer hostage as they escaped; the two were later released. • May 21, the German-owned, St. Vincent and Grenadines-registered cargo ship MV Reval was boarded as it was sailing off the Nigerian coast. The armed attackers broke down the cabin doors of officers and crew, robbing them as well as the ship’s safe, before making their escape. • June 6, crew of the Panamanian-flagged bulk carrier MV Nord Express drove off a group of armed robbers who were in the process of looting the ship’s stores while it lay at anchor off the port of Takoradi, Ghana. • June 9, the British tanker MV Anuket Ivory was boarded in the early morning hours as it rode at anchor off Douala, Cameroon. The armed attackers disabled the communications equipment and robbed the vessel before escaping. • The same day, sixteen armed men boarded and robbed the Ukrainian-owned, Panamanian-flagged cargo ship MV Sevastopolskaya Bukhta as it was likewise at anchor off Douala. • June 10, the brand-new Panamanian-registered bulk carrier MV Tennei Maru was boarded and robbed by heavily armed robbers as it was anchored off the Nigerian coast. • June 27, the Turkish-flagged bulk carrier MV Duden was attacked by pirates off Lagos. Three crew members were wounded by fire from the marauders. • June 29, the Liberian-flagged bulk carrier MV Pearl River was robbed by armed men while anchored off Abidjan, Côte d’Ivoire. • July 12, likewise off Abidjan, the German-owned, Liberian-flagged tanker MT Abram Schulte was robbed by armed men. • August 3, five crew members were kidnapped from the Lithuanian refrigerated cargo ship MV Saturnas as it was anchored off Nigeria. • August 27, robbers boarded the Dutch chemical tanker MT Venezia D as it was berthed in Lagos and, threatening the duty watchman with a gun, managed to escape with part of the cargo. • September 6, in Koki, Nigeria, more than fifty armed assailants stormed the Turkish-owned, Maltese-flagged tanker MT Erria Anne. As the crew took shelter, the robbers made off with the ship’s stores. • September 7, nine heavily-armed pirates in a speed boat boarded and hijacked the St. Vincent and Grenadines-registered tug boat Jascon 40 sailing near Nigeria’s Bonny River. • September 20, half a dozen armed pirates boarded the Antigua and Barbuda-registered refrigerated cargo ship MV Nova Galicia as it was steaming off the Bonny River. Israeli naval commando unit called Flotilla 13. The crew of the Moscow University oil tanker, after returning to Moscow. Pirates’ success rate will drop?